I will be giving a embroidery workshop at SCRAP on February 26. 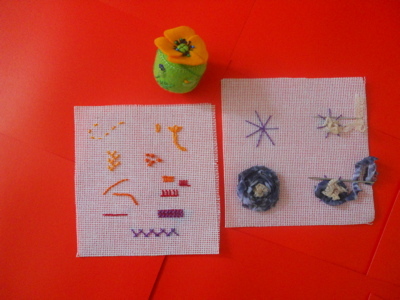 I will be showing how to embroider on paper for cards, on felt for pincushions, and make flowers to wear or decorate. Here is a photo of a few stitches and items we might be doing.